Eliminate the guesswork involved in finding the hardwood that works best with your approach to style and your available budget. You don’t have to sacrifice the style you want for the price you can afford. Save money the next time you are redecorating when you install hardwood in your home. 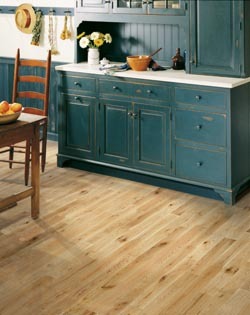 Instead of replacing your flooring, hardwoods can be refinished for an entirely new look and feel. This extends the life of your floors and your flooring investment as well.Add a timeless air of sophistication to any room in your home with the expansive selection of hardwood flooring we offer. Enhance the appeal and value of your home with an elegant addition of hardwood floors that fit into the design of any home décor. Our flooring specialists are to guide you every step of the way in your re-flooring process—from selection to hardwood flooring installation. This versatile style of flooring works perfectly with a wide range of design plans, and we offer a number of collections that are sure to meet your aesthetic and practical needs. Get the solid or engineered hardwood floors that work best with your household and interior décor when you visit our showroom. Our flooring associates takes the time to listen to your expectations, which helps us guide you toward the floors that best fit your needs in appearance, performance, and price. Set the standard for leading-edge design and value among your friends and family with this lasting variety of floor covering. When you see the significant difference that our hardwood flooring makes in your home, you are sure to be completely satisfied in your choice. Enjoy the unmatched appeal of wood flooring without spending a fortune when you choose from our selection of engineered hardwood floors. Engineered hardwood is made up of multiple layers of different synthetic wood materials, and features a top layer of hardwood veneer. While solid hardwood is always an excellent option, engineered products are able to produce the same look for less. Maximize your design budget with our selection of wood flooring products. As a part of a national retail flooring network, we are able to capitalize on the buying power of multiple stores to save you even more on our engineered hardwood products. This helps you broaden your design horizons and get the right fit for your home. Choose a natural alternative to other types of flooring with wood floors that last. You can do your part to leave a cleaner planet to the next generation. Choose our high-quality, affordable hardwood floors for straightforward installation from our experience installers. Protect the investment you are making in your home with hardwood flooring installation from our team of specialists. With professional installation, your flooring can last for generations. If the process is rushed or done incorrectly, it could result in needless costs for you down the road. When you make a commitment to new flooring in your home, you need a team that can get the job done right the first time. Feel confident in your flooring purchase with every step you take when you purchase new hardwood from our store. We back all of our products and our installation process with our Ultimate Confidence Guarantee. If you aren’t satisfied with any aspect of your flooring experience, just contact us. Our team will replace your floors with a similar product for 30 days after our initial installation. Visit our showroom to start your design journey off the right way. Every member of our flooring team is here to help you create the interior experience you have always wanted. With the selection and value we offer customers every day, trust us as your source for stylish, durable, and budget-friendly flooring. Contact us today for a free estimate on hardwood flooring that can transform the look and feel of your home. We proudly serve customers in Springfield, Illinois, and surrounding areas.